Australian Shepherd coats come in four main varieties: blue merle, red merle, black tri and red tri. Whether a litter produces reds or blacks, solids or merles depends on the parents' genes. There are two main coat colours: red and black. A blue merle Aussie has a black base colour, as does a black tri. Red merles and red tris have a red base colour. There are also two main coat patterns: solid and merle. It is the presence or absence of the merle gene which dictates whether the coat pattern will be merle or solid. To be red, an Australian Shepherd must carry two red genes since they are recessive. If one gene is black, black will cover the red since it is the dominant gene. However, a black Aussie may still produce red pups if it has one black and one red gene. This is what is called being 'red-factored'. 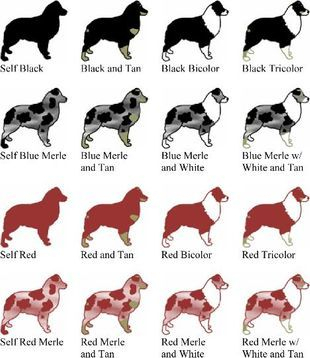 Below are a series of Mendel's charts depicting how colour and pattern occur in Australian Shepherd breedings. All resulting puppies will be black. All resulting puppies will be red.  All resulting puppies will be black (rB). 50% will be black (rB). 25% of the puppies will be red. All resulting puppies will be solid. 25% will be lethal white.